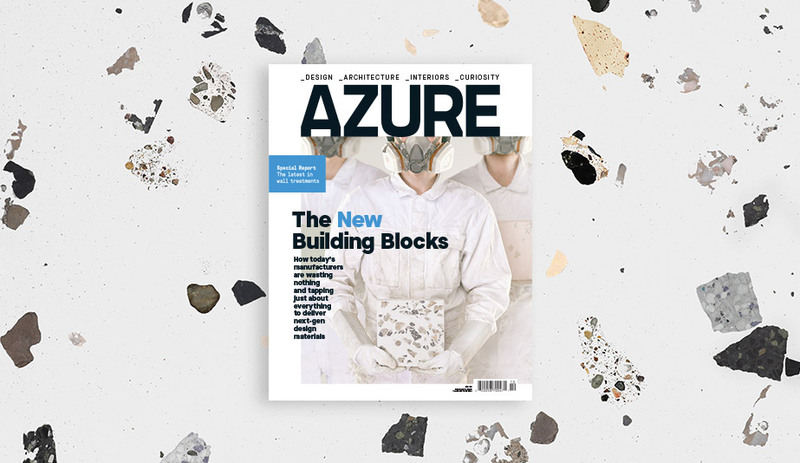 Azure’s Nov/Dec issue revels in the hottest interior design, goes inside Bocci’s Vancouver studio, explores the world’s best architecture education, presents our seasonal wish list from around the world, and so much more. 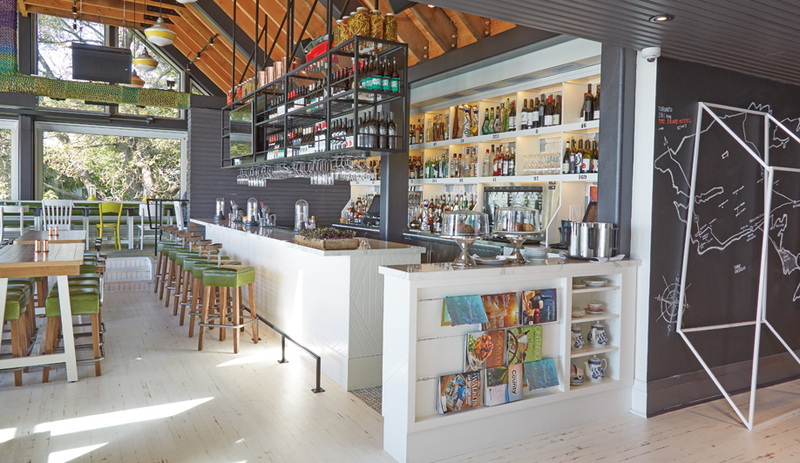 Our Nov/Dec issue, now on newstands, shows off four innovative interiors. In Kolding, Denmark, the Copenhagen firm Henning Larsen uses simple geometries to mastermind a stunning campus atrium; at McGill University in Montreal, a student dormitory receives hits of yellow from local firm Kanva; in London, Amanda Levete Architects designs a Soho restaurant that serves nothing but seafood from tin cans; and in Ontario’s Prince Edward County, Toronto design studio +Tongtong, together with hotelier Jeff Stober, create a rustic getaway. 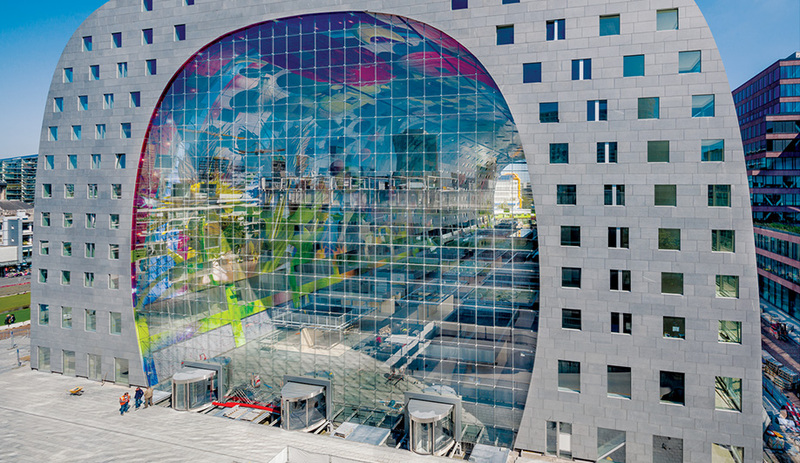 We also take a look at MRVDV’s Markthal in Rotterdam. Its vaulted ceiling covered in a colourful mural by artists Arno Coenen and Iris Roskam, the dramatic building houses a supermarket, 228 residential units and 1,200 parking spaces. 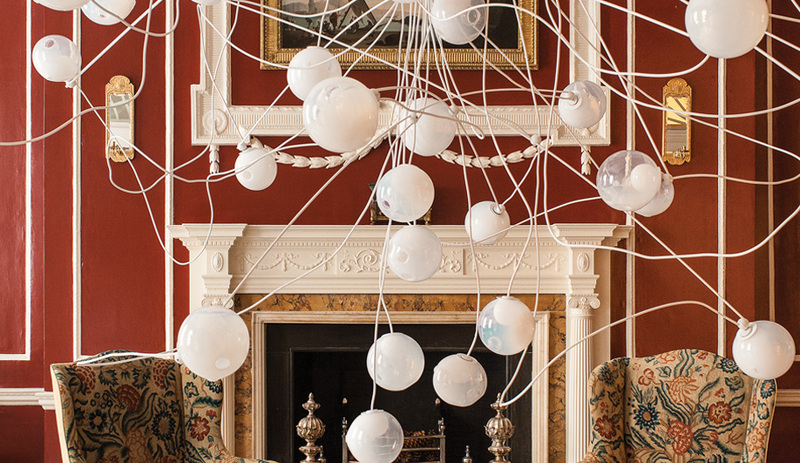 And we visit Omer Arbel in Vancouver; behind the scenes of his Bocci lighting company, artisans experiment with glass-blowing techniques. 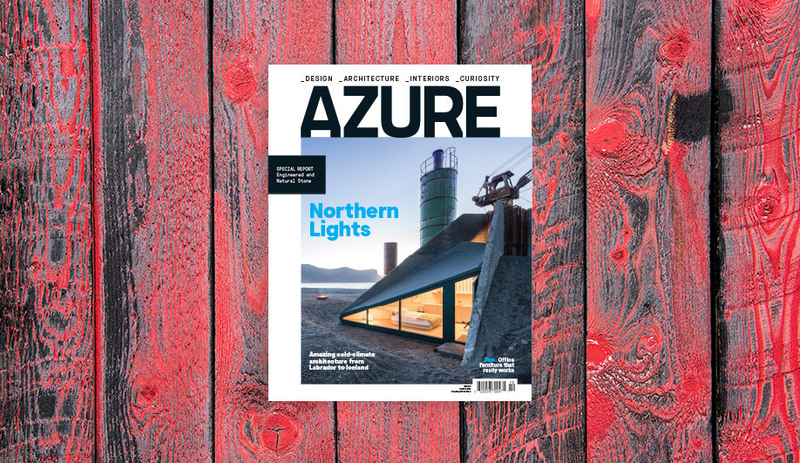 This issue also includes a 10-page story on architecture education, featuring Thom Mayne’s Now Institute at UCLA, Odile Decq’s Confluence school in Lyon, the expansion of the architecture school at the University of Toronto and so much more. 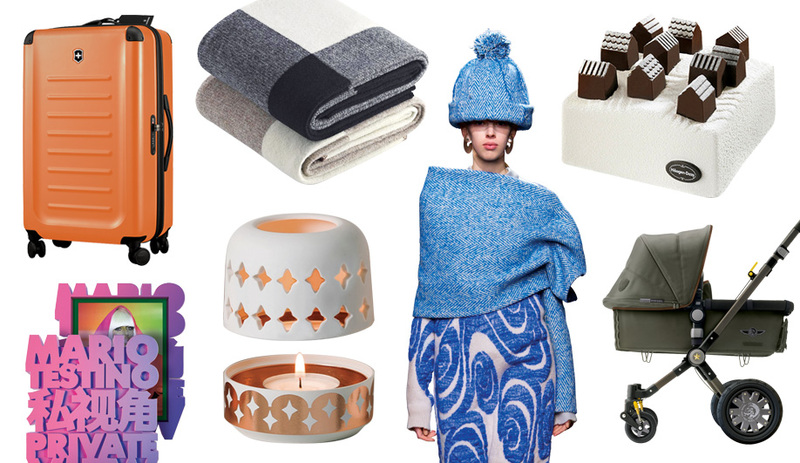 Among our product coverage, the annual gift guide presents designer finds from the Americas to Australia, including coveted items like a Hennessy bottle by Shepard Fairey, Marc Newson’s furry backpack for Louis Vuitton and a skateboard by Erdem. The Nov/Dec 2014 issue is on newsstands now in Canada, and November 17 in the U.S.